CivilianJobs.com, where America’s military connects with civilian careers, is holding a job fair at the DoubleTree by Hilton in Colorado Springs, Colo. on Tuesday, Nov. 10 from 10 a.m. to 2 p.m. The event is open to all transitioning military, veterans and military family members. Free lunch will be provided for the first 200 active duty military with ID or in uniform. A mix of Fortune 500 and local military-friendly companies will be present including Aurora Police Department, Centura Health, Vinnell Arabia, Children's Hospital of Colorado, Colorado Springs Police Department, Lockheed Martin, City of Denver Colorado, and McLane Company Inc.
Job seekers may register at the door, although military and prior military are encouraged to take advantage of CivilianJobs.com’s unique BestFit™ Profile pre-matching process. This process ensures a company’s representatives will meet the attendees whose backgrounds offer the best fit for their positions. Attendees may pre-register at CivilianJobs.com. Upcoming CivilianJobs.com job fairs include Fort Hood in Killeen, Texas on December 1 and Fort Knox, in Elizabethtown, Ky. on December 10. Registration information and the full schedule of CivilianJobs.com job fairs can be found at the CivilianJobs.com web site. 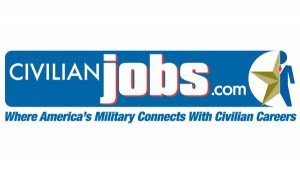 CivilianJobs.com, where America's military connects with civilian careers, delivers military job fairs, staffing services, a job board plus employer advertising in our military base newspaper, Military Transition News. CivilianJobs.com is also home to military affinity programs including the Most Valuable Employers (MVE) for Military® and the Top 40 Under 40 Military. CivilianJobs.com is a wholly-owned subsidiary of Bradley-Morris, Inc. and is based in metro-Atlanta, Ga.